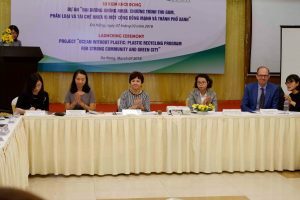 In the morning of March 2nd 2018, Center of Environment and Community Research held a launching ceremony for the project “Ocean without plastic: plastic recycling program for strong community and green city” in Da Nang city. Joining the ceremony were representatives from Vietnam Ministry of Natural Resources and Environment, Danang Department of Natural Resources and Environment, USAID sponsors, along with the project’s partners including representatives of Son Tra and Thank Khe People’s Committee, Danang Women’s Union, Son Tra and Thanh Khe Women’s Union, NGOs and media bodies. The project “Ocean without plastic: plastic recycling program for strong community and green city” aims to develop a waste sorting system based on community, encourage recycling and reusing plastic waste, increase city’s solid waste management efficiency, and help reduce plastic pollution in the oceans. 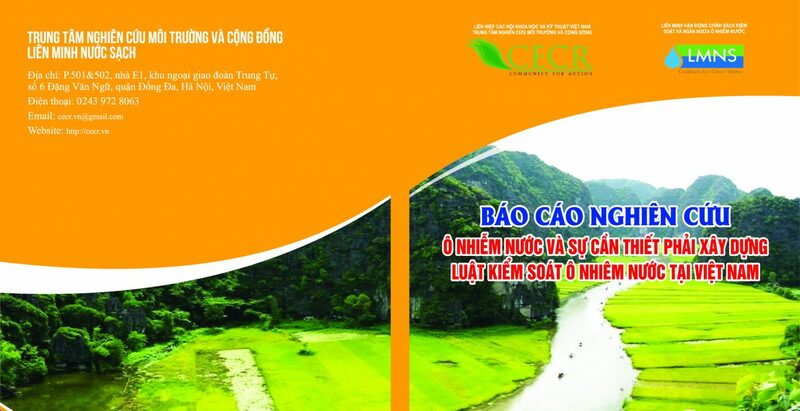 The project will take place in Son Tra and Thanh Khe district, cooperating with district’s environmental departments, local Women’s Union and local universities to deploy community trainings that will encourage residents’ particpations. The project’s final results aim to change people’s perceptions of sorting waste at source and encourage participation in recycling and reusing waste, contributing to Danang’s environmental protection policies and plan in becoming a “Smart and Green City”. The project will begin from January 2018 until April 2019 funded by United States Agency for International Development – USAID.